Extra support worthy of the experts they serve, Danner's Airthotic Instep is a half- length, molded polyurethane instep that cups the heel and supports the arch area of the foot. More rigid than a foam footbed, the raised arch support won't compress over time, and is perforated for improved air circulation and comfort. Fits Men's sizes 8-9. 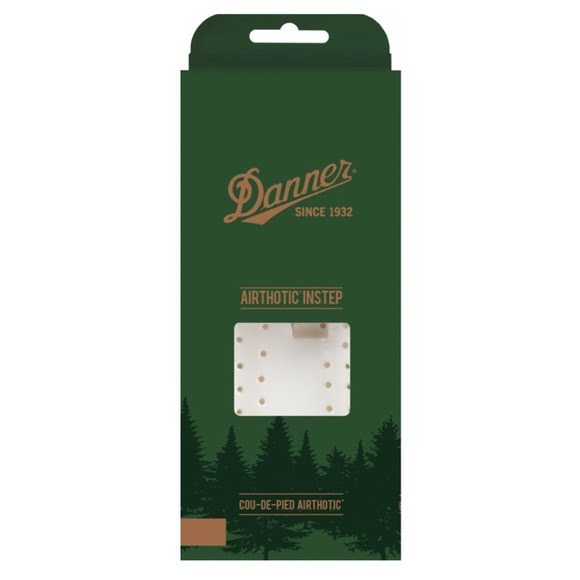 Extra support worthy of the experts they serve, Danner &apos;s Airthotic Instep is a half- length, molded polyurethane instep that cups the heel and supports the arch area of the foot. More rigid than a foam footbed, the raised arch support won&apos;t compress over time, and is perforated for improved air circulation and comfort.